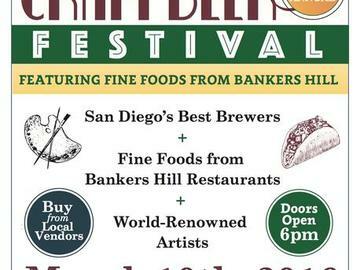 Please join us for the 4th Annual Bankers Hill Arts & Craft Beer Festival! Don't miss tasty bites from Bankers Hill restaurants, beers from 15 craft breweries and art from world-renowned local artists. UNLIMITED 2 oz pours and samplings of food from all participating restaurants.